The MONARCH 3 1-4x20 helps you get on target quickly and make rapid, accurate shots. This is made possible by an ultra-wide field of view, generous eye relief and a compact, lightweight design. Making adjustments in the field is easier than ever before, thanks to the addition of Spring-Loaded Instant Zero-Reset Turrets. Whether shooting at long or short distances, the crisp imaging of Nikon’s Ultra ClearCoat® Optical System, combined with the 1-4 power range, allow you to stay on target during the most crucial situations. 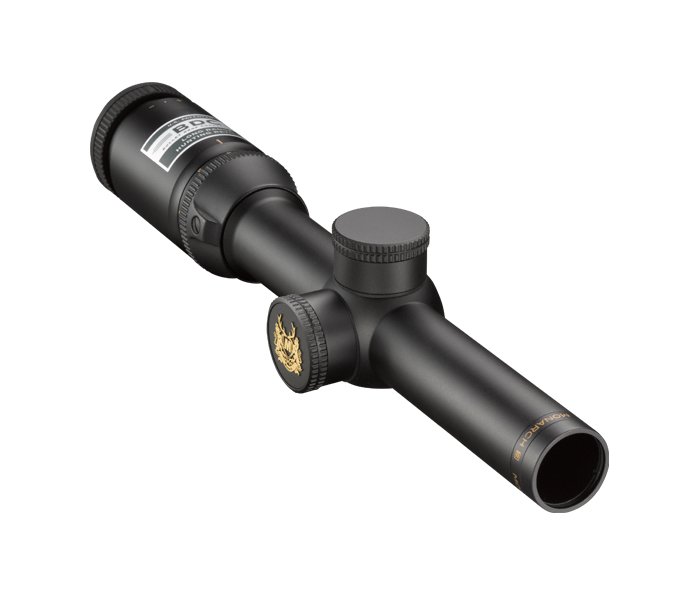 The MONARCH 3 series, like all of Nikon’s riflescopes, are optimized for use with Nikon Spot On Ballistic Match Technology. Spot On allows you to discover all of the exact aiming points at various yardages for your specific ammunition and load. Reticle adjustments are made in 1/2 MOA click-stop moves you can both feel and hear, and with no backlash to make your shot creep off target. Positive click reticle adjustments get you zeroed in quicker and maintain your setting—even with repeated recoil and under rugged conditions. Allows the shooter to instantly bring the reticle into sharp focus even while in a strained shooting position.